The name given to Sparklers says it all – they really do sparkle! This type of firework has long been a pleaser at parties, weddings, parades and other festive celebrations. Once lighted, sparklers are designed to give off a fountain of sparks from the burning tip. As the only type of firework that is meant to be held by the user, sparklers are a hands-on way to add some exciting entertainment to any event. Sparklers come in several different varieties that revolve around their core composition, length and color. The core of sparklers can be made from either a wooden or bamboo type stick or from a metal core. Because sparklers made with a metal rod do not completely burn away, users must be careful to not touch the red-hot metal – the temperatures can reach over 1000 degrees. Sparklers with a wooden core burn away as the sparkles move down the stick; this reduces the risk of getting burned by red-hot metal but also causes a risk of smoldering ashes falling. The length of sparklers is what determines, for the most part, how long they will burn. Available in a range of sizes with 10-inch, 20-inch and 36-inch being the most common, all sparkler fireworks burn from the tip and end a safe distance away from the hand. Ten inch sparklers burn for approximately 45 seconds, 20-inch sparklers for approximately 2 minutes and 36-inch sparklers for about 4 minutes. If you are planning any photo opportunities using sparklers, it is good to keep these burn times in mind. The basic color choice in sparklers is silver or gold. However, you can purchases sparklers in an array of single colors such as red, green and blue or multi-color sparklers that are created with distinct burning phases; for example, 20 seconds may be red sparks, 20 seconds may be gold, and so on. If used according to the manufacturer’s recommendations, sparklers are typically a safe firework. If children are participating in the fun, adult supervision should be provided. Other precautions to take include always using them outdoors, holding as far away from the body as possible, not standing near flammable materials, and do not touch the hot tip. Also, it is a good idea to dunk your sparklers in water to make sure they are completely extinguished. 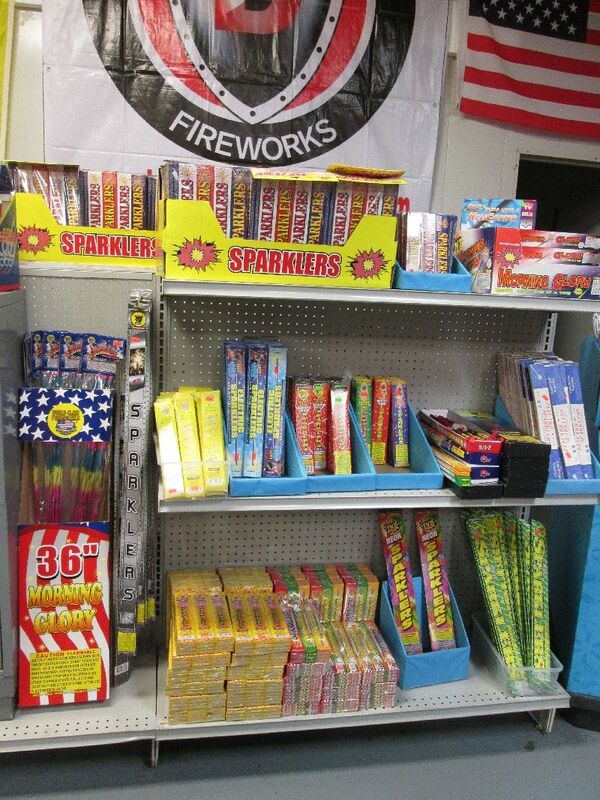 We have a large variety of sparklers from many manufacturers. Stay tuned for individual listings!